Once again it is that time of year for the Macy’s Flower Show which has become a Minneapolis tradition. Macy’s has their flower show in 5 different cities, Minneapolis, New York City, San Francisco, Chicago and Philadelphia. This year’s show, “The Painted Garden”, started on March 24th and runs through April 7th. The show can be found in the 8th floor auditorium of the downtown Minneapolis Macy’s store, it is open during normal store hours and is free. The theme of the show this year is Asian, specifically India. Throughout the auditorium, paths take visitors through the display, and each section of flowers is marked to help gardeners and aspiring gardeners identify their favorite flowers and plants. Once again Bachmann’s has provided the exotic floral displays the show off the beauty and landscapes that are native to Asia. Bachmann’s has been providing the floral displays for the flower show for almost 50 years. The Macy’s Flower Show began in their Union Square store in 1946, becoming the very first department store to hold such an event. Around 500,000 people visit the flower show each year to see all the beautiful floral displays and landscape scenes from around the world. 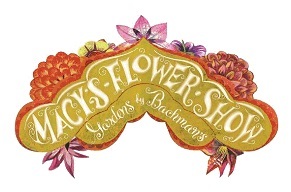 Bachmann’s has been providing the flowers for the Minneapolis show for almost 50 years. They are a local company that has been around for 125 years and has numerous stores, outlets, greenhouses and garden centers around the Twin Cities. Get set for spring by checking out Macy’s Flower Show! This entry was posted in Activities, Relocation, Seasons and tagged Asia, auditorium, Bachmanns, flower show, India, Macy's, spring, Twin Cities. Bookmark the permalink.